Today my review is about the beautifil PAM 424, the 2014 edition of the Radiomir California 3 days Acciaio. One of the most classic watches around these days would one ask my opinion. Although the watch wears gently on any wrist it has to be of a certain size. The 47mm wears “au nonchalant” but never dull. A blink with the eye and your reliable companion has told you the time on all your endeauvors. Being it you’re chopping wood for your camp fire in the Arboretum in Narsarsuaq after having an argument with a Grizzly bear. Or whilst making sure at your annual meeting, members of the board are convinced your strategy to increase profit with 10% in Q1 is the best. The Radiomir 424 California dial will be on your side. Clearly positioned in sight, yet almost invisible. What is it that makes Officine Panerai so irresistible for many man? It must be the sophisticated looks. The simple yet refined design perhaps? Or is it the conventional construction? No wait it must be the fact that it resembles…, the word Man? But one can’t deny that the PAM 424 is as eye catching as the Oceanographic 4000. Yet there is a difference, a very subtle difference, merely just a detail, eye for detail if you wish. Although both have “wrist-presence” the Panerai will be only be noticed by those who want to! Radiomir California 3 days Acciaio 2014 edition. One to remember! The history of the Radiomir goes way back to 1916. The California dial was fitted for the first time in 1936 by Panerai. The oversized dial, in combination with the luminescent paint (Radiomir), were mandatory for the work of the divers of Royal Italian navy. Needless to say that the divers need to be able to see time in dark waters. That way they can do perform their underwater activitties in safety. So the Radiomir California was the watch of choice. California Dial with Arabic and Roman numerals, unique and beautiful. One can easily recognize the Californi dial. Being it only one that is fitted with both Roman and Arabic dials, why? Exactly, good question! According to the website of Panerai the Radiomir California 3 Days “has the dial which was almost certainly the first one fitted to the Radiomir case“. So if they aren’t 100% sure how can I? But it looks great don’t you think?. Even more as they decided to take out the date indicator, which was built into previous versions. And I couldn’t agree more with Jake Erhlich who posted the following picture and quote on his blog. Watch and P.3000 caliber movement fully made and assembled in-house by Panerai. The PAM 424 comes equipped with the P.3000 caliber movement. 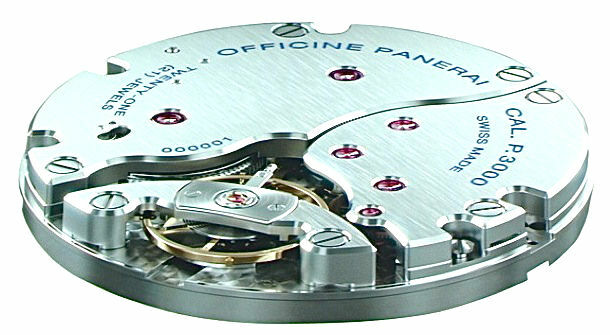 Which is entirely manufactured at Panerai. As the watch itself the P.3000 is robust, accurate and comes with a power reserve of 3 days. 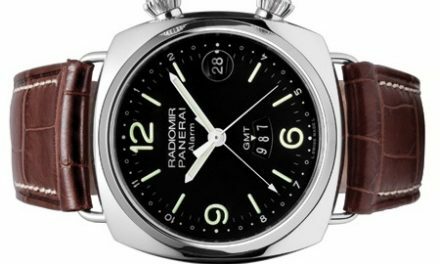 Panerai Radiomir California 3 days Acciaio… stunning! We live in a world were opinions differ and that’s great. With tons of marvelous masterpieces out there and as many opinions this watch is a conversation peice for sure. By the way, it is a myth that a good watch needs to be expensive. 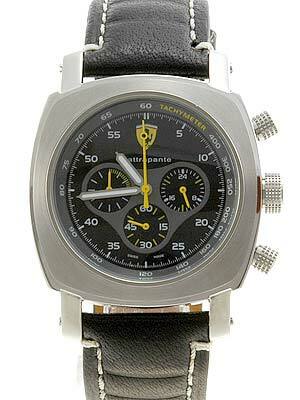 A valuable watch can be a simple, cheap watch but with a personal history or one that costs two houses and a gardener. We all choose what we like. 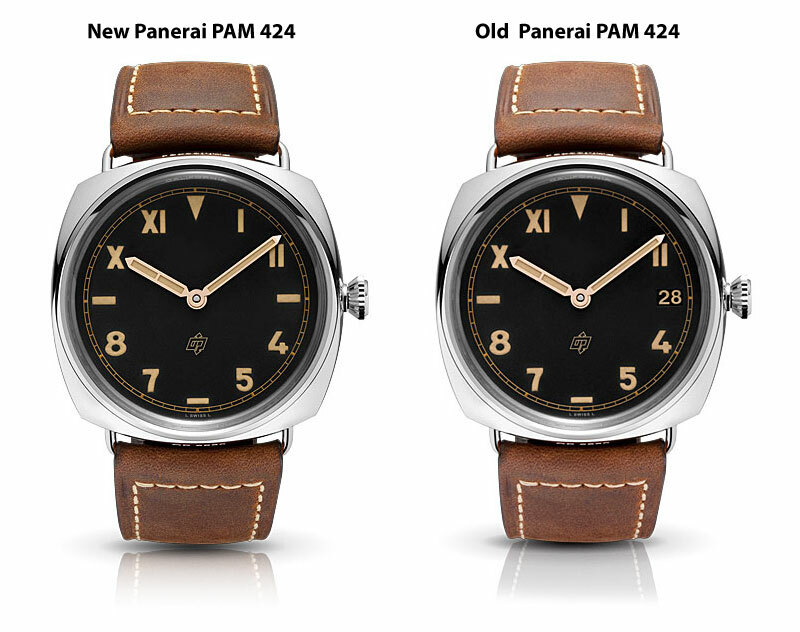 My personal opinion about the Panerai Radiomir California 3 days can be captured in one word… YES! MOVEMENT: Hand-wound mechanical, Panerai P.3000 caliber, executed entirely by Panerai, 16½ lignes, 5.3 mm thick, 21 jewels, Glucydur® balance, 21,600 alternations/hour. Incabloc® anti-shock device. Power reserve 3 days, two barrels. 162 components. CASE: Diameter 47 mm, AISI 316L polished steel with removable wire loop strap attachments (patented). Screw-down winding crown personalised OP. DIAL: Black with luminous Arabic and Roman numerals and hour markers. CRYSTAL: Sapphire, formed of corundum, 2.8 mm thick. Anti-reflective coating. STRAP: Panerai personalised leather strap and large-size polished steel buckle.